Look for the * for today’s advice. 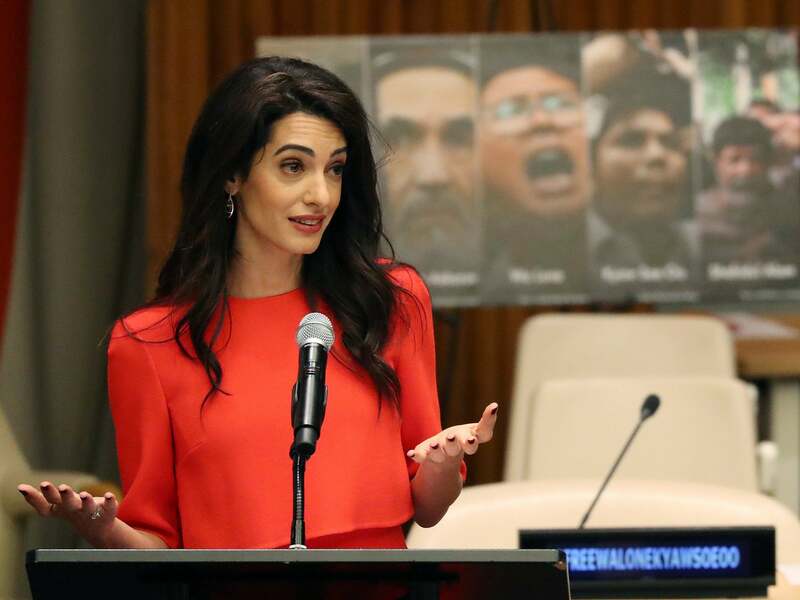 Amal has made a career out of standing up for other people who have been treated unfairly. She is a barrister who specializes in International criminal law and human rights. Like Amal, if you believe in something, don’t be afraid to stand up for it. The Clooney Foundation for Justice was established in late 2016 to advance justice in courtrooms, classrooms and communities around the world. We believe that justice means fighting for the rights of individuals unfairly targeted by oppressive governments through the courts. But justice is more than what is meted out in courts, it is litigated in communities as well. Advancing the cause of justice also means advancing justice for marginalized and vulnerable communities targeted by hate; justice for displaced children deprived of opportunities to learn; justice for refugees seeking to rebuild their lives abroad. *Use today to stand up for something you believe in. Donate time to that cause or start your own charity to help those who can’t help themselves. I have a positive outlook. Sometimes I feel my face carries too much weight. When I notice it around my jawline, I watch what I eat. The Harry Potter and Star Wars star was caught on the receiving end of a cruel jibe after a Twitter user posted an offensive tweet on Sunday about the actor’s family, who were all born with forms of dwarfism. However, the 47-year-old actor wasted no time in drawing attention to the nasty tweeter – who referred to his family as ‘midgets’, which is an incredibly derogatory term for those who are of small stature – and was greeted by hordes of fans who came to his defense. Davis was born with the condition spondyloepiphyseal dysplasia congenital (SED), which caused his dwarfism. *Appreciate the body that you have and if your face is carrying too much weight, watch what you eat. Let’s celebrate this upcoming February 3. It is the birthday of Elizabeth Blackwell, the first woman to receive an M.D. from an American medical school in 1849. She is best known for her tireless support of medical education for women and her public reform work. It is also the day that the Physicians Mom Group (PMG), a non-profit organization of almost 50,000 women, is declaring National Women Physicians Day. This day would celebrate all the significant contributions that women physicians make daily, none of which would have been possible without Elizabeth Blackwell. Blackwell embodied the ABC characteristics of extraordinary women physicians. Blackwell was inspired to become a physician after a close friend who was dying suggested that she would have suffered less if her physician had been a woman. As a physician, she had an uncanny ability to show concern and kindness not only to her patients, but also to others in general. She advocated for public reform as she espoused that medical issues were often caused by societal problems such as poverty and lack of education. *Elizabeth Blackwell’s compassion and take on reform in medicine needs to be revisited almost 200 years after her birth. Medical malpractice led to the severity of my father’s stroke and then I watched as my parents had to go on Medicaid to pay the bills for a litany of nurses, doctors, and administrators with little to no compassion at all. Sorry for the rant – but it was good for my soul. 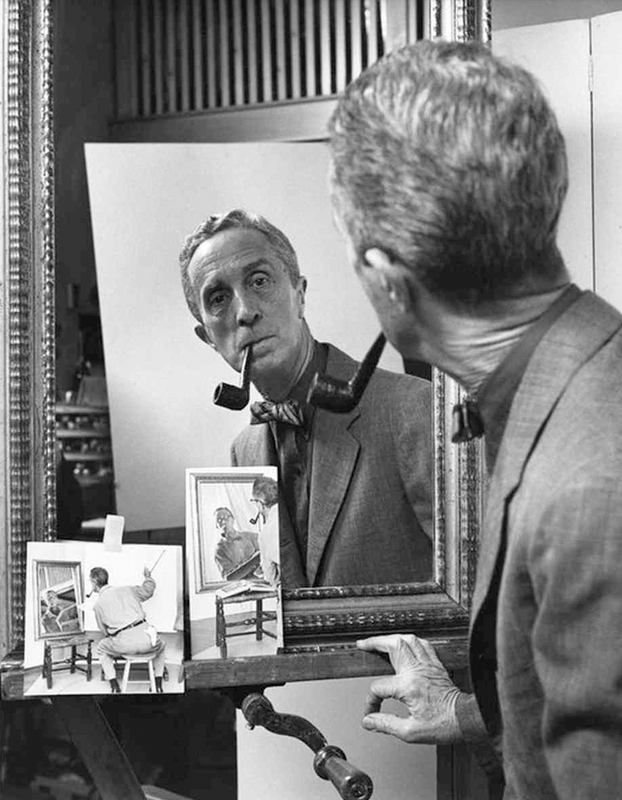 In 1973, Rockwell established a trust to preserve his artistic legacy by placing his works in the custodianship of the Old Corner House Stockbridge Historical Society, later to become Norman Rockwell Museum at Stockbridge. The trust now forms the core of the Museum’s permanent collections. In 1976, in failing health, Rockwell became concerned about the future of his studio. He arranged to have his studio and its contents added to the trust. In 1977, Rockwell received the nation’s highest civilian honor, the Presidential Medal of Freedom. Maybe you’re thinking about how to better manage your property, or you want to make sure your family will be taken care of after you’re gone. If you’re having these thoughts, you might want to think about setting up a trust. A trust is basically a transfer of legal title from the owner (the grantor, trustor, or settlor) to an institution or person (a trustee). The trustee then administers the trust according to the trust terms for the benefit of a beneficiary. There are various factors to consider when setting up a trust. These factors include the size of the estate, the age, and marital status of the grantor. FindLaw’s Setting Up a Trust section provides information and tips to help you set up a trust. *Take today to establish a trust to preserve your legacy. ISLA FISHER WATCHED FATAL ATTRACTION AND THE HAND THAT ROCKS THE CRADLE BEFORE HER AUDITION FOR GLORIA. It helped her think about how to make someone “really psycho and funny and aggressive and sexual, but also make her sweet enough that you still like her and think that she’s endearing in some way.” She also used a friend’s “crazy eye” and a “really bad” laugh to get the gig. “I’m not perfect, but who are we kidding, neither are you.” Hey, let’s get one thing straight, if someone tells you that you have flaws, accept it. Don’t let anyone make you feel bad about being human. Jeremy always felt like he could never belong. During the game of touch football he was seriously athletically challenged and kept getting hurt. But in the movie he finds a girl who celebrates and even loves his flaws and that is what life is about. If we don’t expect the fact that us humans can make irrational mistakes, we will never be able to overcome failures and celebrate our triumphs. *Watch Wedding Crashers and see why Jeremy and Gloria are perfect for each other. In Angels in America, the definitive musical-comedy star is playing the darkest character imaginable. He’s never been sunnier. Actor Nathan Lane joins Martha to make beef tenderloin with mushrooms and thyme. *Enjoy this beef tenderloin while watching Wedding Crashers.